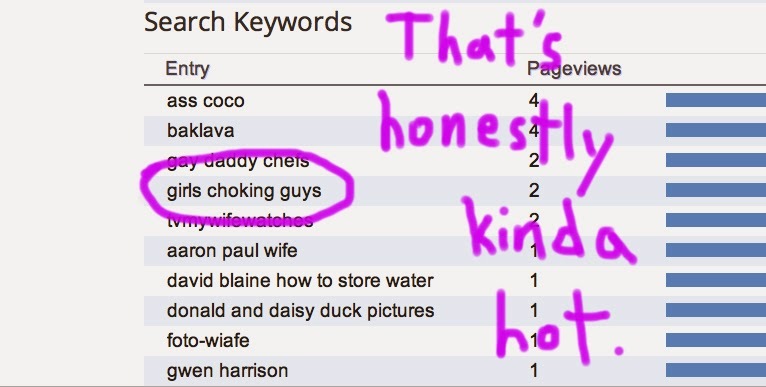 Hey all you wonderful people who I love very much and appreciate your time and devotion to the world's biggest pile of wet, hot, disgusting internet garbage, here's another edition of #GoogSearches. 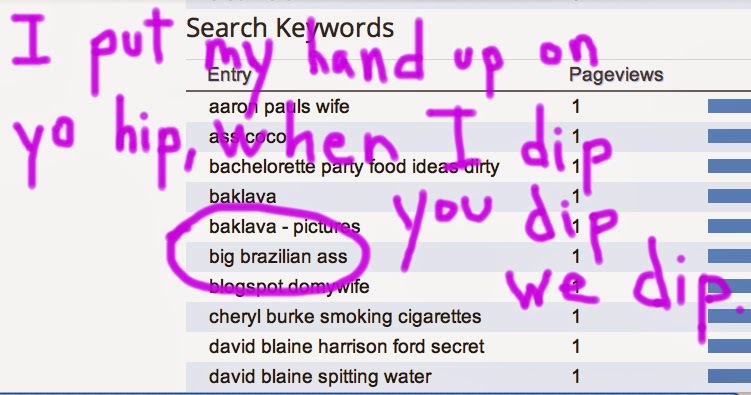 For those of you who have no idea what I'm talking about, below are things that people have actually typed into Google, that led them to this here website. Also, 11 pageviews for "baklava!" Click here to see what pops up if you search for "wife with snoring husband images." Who knew people liked baklava so much? I mean, I love baklava, but apparently so does the rest of da world. That's nice for baklava. 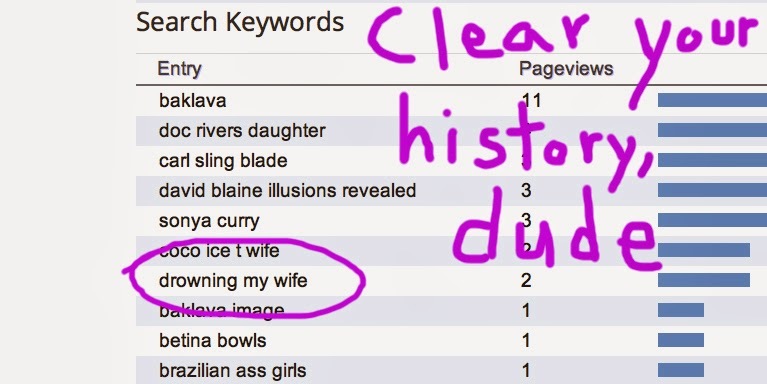 CLICK HERE FOR MORE HOT #GOOGSEARCH ACTION.